Holy mountain, Fishtail and Annapurna Base Camp. Some call it the Annapurna Sanctuary Trek. 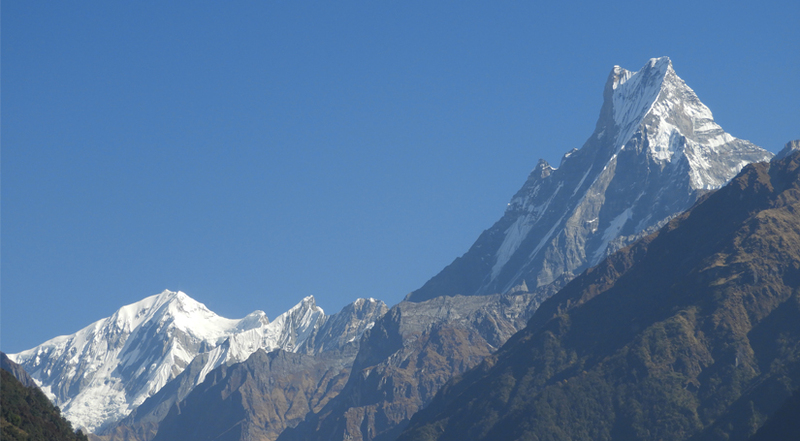 Widely known as Annapurna Base Camp Trek, this is one of the most popular treks in Nepal. And there is a region for being so. This beautiful trek in the beautiful Himalayas offers you with the breathtaking views of mountains. It combines the nature in its rawest forms and some of the loveliest people you will ever meet. Annapurna region is situated in the northern part of Central Nepal. To its west lies Kali Gandaki, the Pokhara Valley to the south, and the Marshyangdi River flanks it from the north and east. Annapurna Conservation Area Project shortly called as ACAP, protects this region. 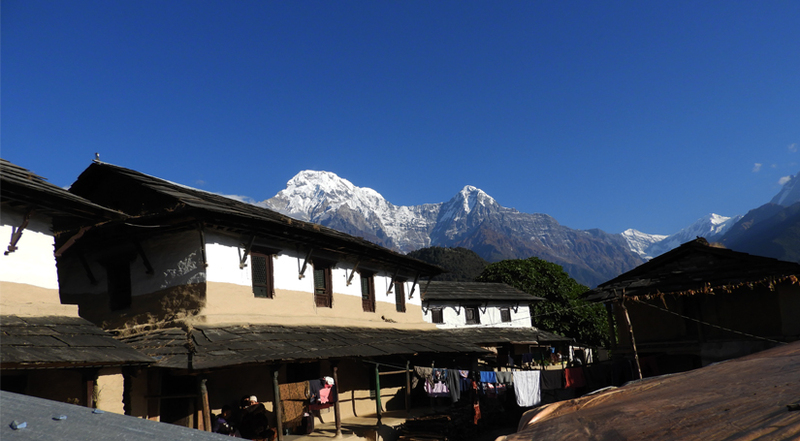 The highlight of trekking to Annapurna Base Camp is the view of Mt. Annapurna and many other beautiful mountains in the vicinity. Throughout your trek, you will have a comfortable stay. As the trek route is well-defined, there are tea houses with basic facilities enough to make your trip comfortable and enjoyable. Staying at such tea houses also helps you to interact with locals of Gurung, Magar, and Thakali ethnicity. You can delve into their unique culture and tradition. Therefore, Annapurna Base Camp Trek is not just about witnessing the giant Himalayas but also connecting with amazing people - locals and trekkers. 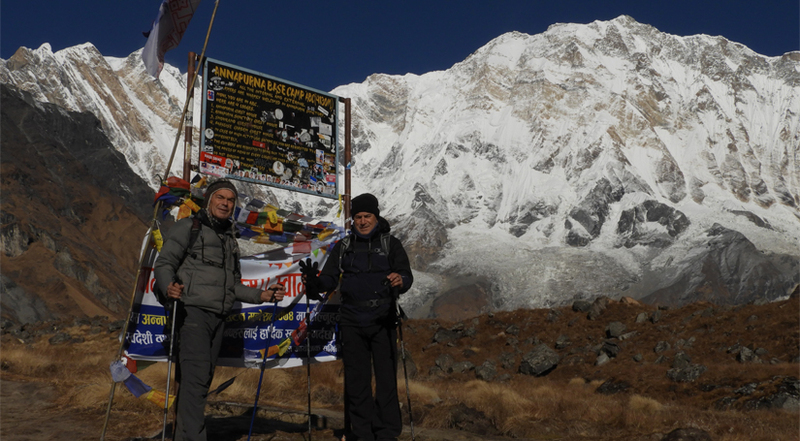 Himalayan Joy Adventure offers you with 13 days Annapurna Base Camp Trek. Here at Kathmandu, the journey starts. But the real test to your legs begins from Nayapul. After a drive to Nayapul, you begin the walk and conclude your first day in Ghandruk. Then four more days trek through beautiful villages and landscapes finally take you to Annapurna Base Camp. After meeting up with the beautiful Annapurna closely, you begin retracing back to Nayapul. A two and a half day walk brings you to Nayapul from where you drive back to Pokhara. And the next day, you travel to Kathmandu with a lot of stories to tell. All in all, the trek is a moderate one in difficulty. But, Thorong La Pass crossing day can be pretty enduring one. So, if you have a healthy mind and physique, you can complete the trek with not much difficulty. The best time to trek Annapurna Base Camp is Spring and Autumn. Spring prevails from March to May whereas September to November are Autumn months in Nepal. In the Spring, the temperature is warm. The trail is full of blooming rhododendron making the trek more beautiful. But, from the early afternoon, mountains are hidden behind the clouds. Autumn is the best season to trek to ABC. As the monsoon will have just ended and the weather is not so hot or cold. The temperature is pretty comfy and the views are so good and clear. 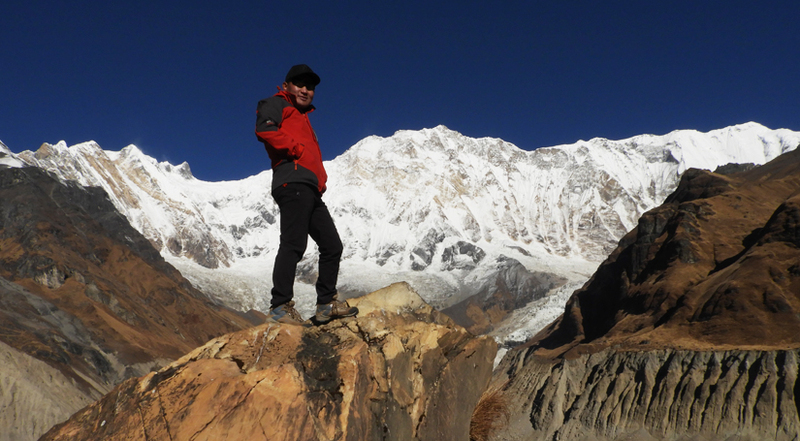 Therefore, large portions of trekkers prefer Autumn season to trek to Annapurna Base Camp. Annapurna Base Camp Trek is a moderate trek that takes you to 4,130 meters of altitude. Although you reach the Base Camp of the tenth highest mountain, the trek is not a tough one. You walk for about 5-6 hours a day at an average. Those who are fit can easily trek to ABC and needs no technical knowledge. But before coming to Nepal for the trek, it’s better to have some training. You can spend a few morning hours of a few weeks with jogging, running and involving yourself in some exercise. Likewise, you can go hiking and short trekking before heading on this trek. Welcome to Nepal. After you land at the airport, our representative will pick you up and transfer you to a hotel in Kathmandu. You can spend the rest of the day in your hotel room or explore around the city. Experience the vivid evening in this busy city of Kathmandu. Thamel is an ideal place to walk around in the evening. If you need to buy any trekking essential, buy them in Thamel. On the second day, you will sightsee Kathmandu. After your morning breakfast, you start exploring Kathmandu with our guide. Kathmandu has several UNESCO-listed world heritage sites to introduce to its visitors. You will visit Pashupatinath, Swayambhunath, Boudhanath, and Kathmandu Durbar Square in Kathmandu. After sightseeing, you will return back to your hotel. If you need to prepare for the trek, make sure you complete the preparation. On the third day, you drive to Pokhara. After about 6 hours drive by tourist bus, you finally reach Pokhara. Pokhara is the heavenly place for tourists. You can enjoy the rest of your amazing day at the Lakeside. It’s really amazing to spend evenings in Lakeside. You can enjoy live music and hang out at clubs, and explore the nightlife of Pokhara. 04 Days DRIVE TO NAYAPOOL AND TREK TO GHANDRUK 1940M. After about one and a half hour drive from Pokhara, you will reach to Nayapul - the trailhead of your Annapurna Base Camp Trek. You then begin trekking alongside Modi Khola to Ghandruk. Ghandruk is a beautiful Gurung village that offers breathtaking views of Machhapuchhre, Annapurna South, Hiunchuli, and some other snow-covered mountains. 05 Days TREK TO CHHOMRONG 2170M. The morning in Ghandruk will be pretty amazing. After witnessing the stunning sunrise, you will have your breakfast. Then, your trek continues towards Chhomrong Village which takes about 5-6 hours of steady walk. 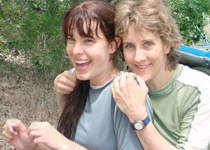 At first, you climb the trail which is a slightly uphill climb. Then you descend down to Kimrong Khola and have your lunch. After having your lunch, you begin ascending to Chhomrong. The uphill climb takes about 90 minutes. Chhomrong is the gateway to the Annapurna region. There are modern amenities like WiFi, heaters, hot showers, and more. But, you have to pay for them. 06 Days TREK TO BAMBOO 2350M. Today, the trek is about 4-5 hours. After your morning breakfast, you begin descending via 2500 stone steps and cross Chhomrong Khola by a bridge. Then the uphill climb to Sinuwa begins. After passing by Sinuwa, you walk through a beautiful forest to Kuldihar and then descend to Bamboo. You spend the sixth night of Annapurna Sanctuary Trek in Bamboo. 07 Days TREK TO DEURALI 3230M. It’s about 5 hours of steady walk from Bamboo to Deurali. You begin the walk through the thick bamboo forest. The forest remains damp and cold as the thick vegetation blocks the sunlight. Only after reaching Himalaya Hotel, the view opens up again. The amazing view of glacial river cascading below is worth capturing. Then you keep on climbing steep uphill through a drier forest to Hinku Cave. From there, the trail descends down to a river. After crossing the river, you are left with the last uphill climb of the day to finally arrive at Deurali. 08 Days TREK TO ANNAPURNA BASE CAMP 4130M. The major day of your Annapurna Base Camp trek begins. Today, you ascend to Machhapuchhre Base Camp and then continue your trek to reach Annapurna Base Camp. During the trek, make sure you take frequent short breaks. As you are already at a high altitude, take frequent rests and walk slowly. In the morning, you walk through a steep trail towards north through the side of mountains. After you reach Machhapuchhre Base Camp, you will have your lunch. Take a rest there for a while and behold the sights of beautiful Annapurna ranges, Machhapuchhre, Hiuchuli, Gangapurna, and some other mountain peaks. Then, you trek towards the west for about two hours to finally reach Annapurna Base Camp. From the base camp, you will have stunning views of Annapurna glacier, Annapurna South, Hiuchuli, Singachuli, Bhara Chuli, Gangapurna, and some other minor peaks. 09 Days TREK BACK TO BAMBOO 2310M. After spending a night in the lap of Annapurna, it’s time to retrace back. The most parts of the trek are downhill and are full of scenic views. After about 1-1.5 hour, you will arrive at Machhapuchhre Base Camp. After resting there for a while, you start heading towards South to Bamboo. After crossing glaciers, you walk further south to arrive at Deurali and have your lunch. Then you pass through villages namely Himalayan, and Dobhan to finally arrive at Bamboo. It takes us about 7-8 hours to arrive at Bamboo through the bank of Modi Khola. Some trekkers prefer to stay at Dobhan instead of descending to Bamboo. 10 Days TREK TO JHINU 1780M. After your morning breakfast, you start your trek towards Sinuwa. The trail from Bamboo to Sinuwa is a beautiful one as the trail is full of rhododendrons. In the Spring, the area looks so stunning with vibrant Rhododendrons blooming all around. After you climb uphill to Kuldighar, you will descend down to Chomrong Khola. You will then climb the stone steps stone to reach Chhomrong village. You will have your lunch in Chhomrong. From Chhomrong, it’s downhill walk to Jhinu Danda. It takes you about 45 minutes to arrive at Jhinu Danda from Chhomrong. After checking into your hotel room, you can enjoy the hot water bath in a natural hot spring on the bank of Modi River. It takes about 20 minutes to reach the hot spring from Jhinu Danda. You spend the tenth night in Jhinu Danda. 11 Days TREK TO NAYAPOOL AND DRIVE TO POKHARA. This is the last trekking day of your Annapurna Base Camp Trek. After your morning breakfast, you pass through Syauli Bazaar and descend down to Kimrong Khola and then walk further to Nayapul. You will then drive to Pokhara and enjoy the evening there. The next day, you will travel to Kathmandu through Prithvi Highway. You can buy souvenirs and do shopping. Our team will give you a farewell dinner and you can share us about your experience of exploring the amazing Annapurna Region. We will transfer you to the airport. We will wish you a safe and happy journey and wish to see you again. We welcome your feedback and hope you will reach us again in the future. Just arrive back from 8 days trek to Anaphurna Base Camp, hosting by Himalaya Joy Adventure. 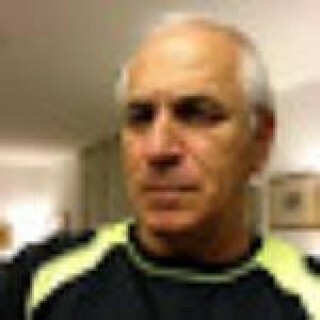 The plane and organised by Cholendra and guided by Tika was excellent. This two guys were the best we could expected. Looking forward for the next trek together with this company. CB!!!! Your website is so perfect and we love it. We want to come trekking with you again ASAP. Thank you for giving us a beautiful honeymoon trek and becoming a true friend. We miss you! Good luck with your business!! 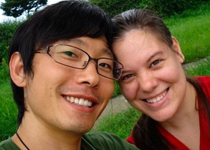 I will put your site on my blog so that others can come here and sign up to have an amazing time in Nepal.